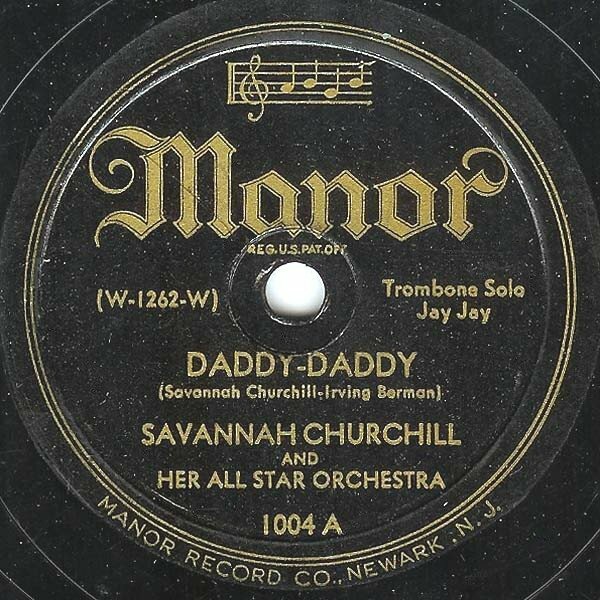 Today the first releases from the Manor label, one of the many independent record companies that popped up immediately after the end of the 1942-44 recording strike. Manor brougt us some greats of the jazz and a few highlights of the Rhythm & Blues scene of New York - together with gospel, some hillbilly and a few white pop acts. Greatest assets of the label were Savannah Churchill and Deek Watson and his Brown Dots, a vocal group that later was named the Sentimentalists and the Four Tunes. For bebop affectionados Manor is valued to have waxed some of the earliest bebop jams. Both are in today's show.